Great chemists know the correct elements to combine to build a perfect compound. Well, Pinnacle Scaffold knows the perfect combination of scaffold, debris netting, stair towers, tie-ins and sprinkle in tremendous skill to create the best working platform in the business. 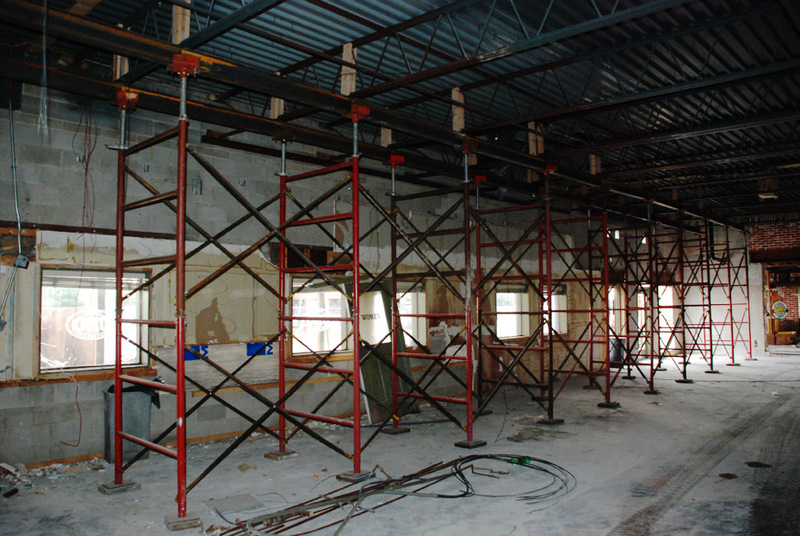 Pinnacle provided this super sturdy scaffolding for crews to get access to the entire façade of the Colburn Laboratory building on the University of Delaware’s campus in Newark, DE. Masonry crews were doing a complete restoration project and needed decked in levels to get at every inch of the exterior. 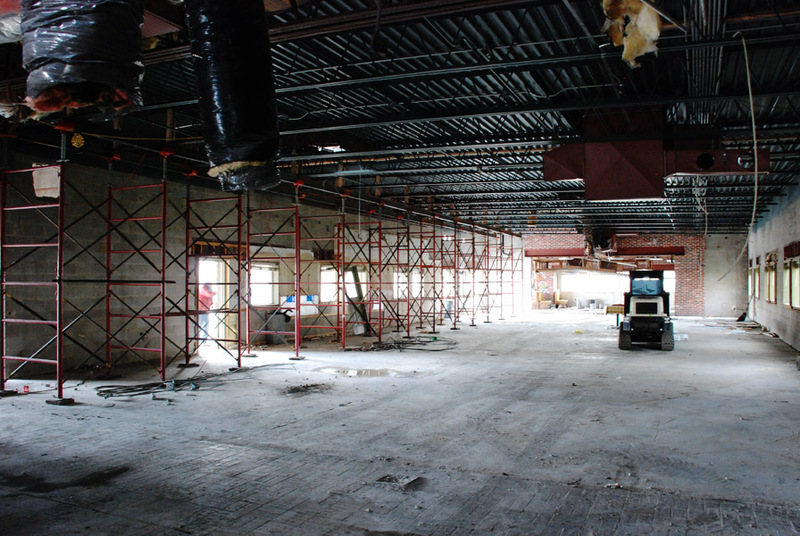 These photos were taken while crews were erecting the scaffold but we did add debris netting to the entire project. We are proud to be a part of this job on the UD campus. The job went off on time and in budget. 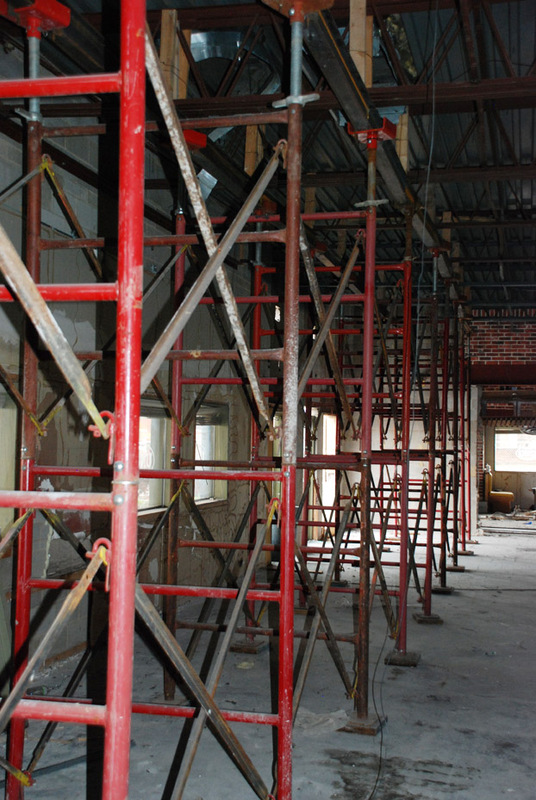 If you need scaffolding or access of any kind call Pinnacle Scaffold at (302) 766-5332 today and ask for Tony P – he’ll take care of you. You can also visist www.pinnaclescaffold.com to get more information. Pinnacle Scaffold erects a monster at the University of Delaware. There’s really no other way to say it. This job is big! Look at the photos. It’s over 1800 lineal feet of scaffolding encasing 143,000 gsf of new student residences at the University of Delaware in Newark. Who was big enough to take this on? Who was bold enough to create an access and working platform for multi-trades at every level at all times all around this structure? Who could the GC rely on for constant changes, updates, and a moving target of issues from a multitude of vendors? 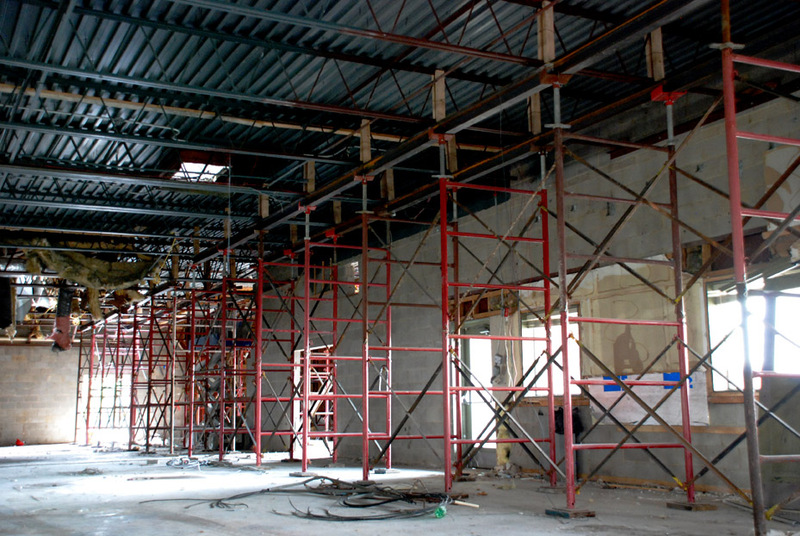 Pinnacle Scaffold was called in because they have the ability to move quickly, efficiently, and bring projects in on-time and under budget. And truthfully, when there are multi-trades all over the scaffold each trying to get their time in to finish the job you want a man like Pini to handle the details and changes that all of these companies need to finish their parts. But let’s stop blowing sunshine up the owner’s mighty derriere and focus on the incredible scaffolding all around this building. Wow. South Academy Street Residence Hall will provide 531 beds for first year students. Located directly north of Hartshorn Hall, the SARH will be the final component of the East Campus Housing Program and is scheduled to open in August 2017. You can see the vast amount of system scaffold all around this job all to give a multitude of trades and craftsmen access to the entire façade at all times. We’ve got stair towers, ladders, debris chutes, overhead protection you name it – it’s out there. There is a lot going on! This is a busy construction site and safety had to be of the utmost priority. Each day over 200 workers descend upon this building to install windows, siding, brick, steel, run cranes, lifts, electrical, paint, and more. Anthony Pini and Pinnacle were brought in because they knew how to design an intricate access plan around this huge building. He knew how to get all of the clients just what they needed. He kept everyone happy and kept the project on-time and within budget. Alternate Design Solutions did a great job with the engineering drawings for this project. We need to give them a shout out. Some of the challenges that had to be over come included not just pleasing one client but 7-8 at all times from the GC to the subs, the window guys, the masons, the carpenters, electricians, everyone. The chimney scaffold was also very difficult to layout and safely give crews access but PSC did it. Even the building’s layout of a zig-zag pattern in the front was a challenge. Pinnacle is proud to be a part of this prestigious project and proud to be working with so many quality people. Together we can all make it a huge success. When you need access solutions from scaffolding, mast climbers or suspended scaffold think Pinnacle Scaffold – Fast, great service, reliability, the right price, the right products, right now. Simply put – better erections. 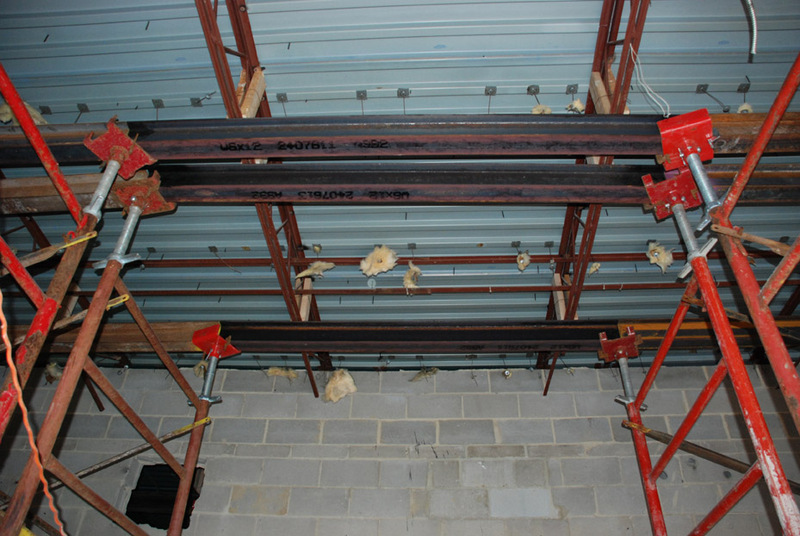 Call Pinnacle today at (302) 766-5322 and ask for Anthony Pini or visit www.pinnaclescaffold.com to see more work. Here is a rendering of what the finished product will look like. There was only one song that fit for the musical number today. I think you’ll agree. Pinnacle Scaffold was called to St. Mary’s Episcopal Church in Wayne, PA to provide masonry crews access all around this incredible house of worship. Pinnacle is the go-to scaffold company when you have work with historic structures. 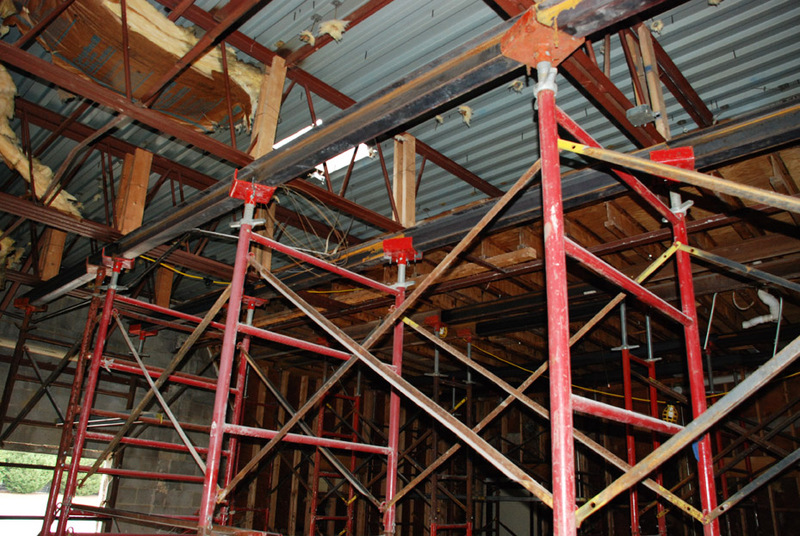 We pride ourselves in our ability to erect scaffolding without leaving a trace. Crews are repointing and replacing stones in the exterior walls (and then anchoring them to the interior walls for stability), as well as replacing coping stones and doing parapet replacement. Pinnacle is providing them the access necessary to get the job done! St. Mary’s Episcopal Church was completed and consecrated on Easter Day 1890. Over time, the mortar wears out and the stones shift and crack, necessitating their periodic so repair/replacement. We needed to gain the masonry crews complete access to the façade and roof area. The biggest challenge was erecting the scaffold like a Christmas tree with different levels at different points, following the profile of the building. Take a look at some of the pictures. I’m going to walk you around the building… A visual tour – if you will. As with all of our historic jobs, we take great pride in getting in and getting out without a trace. 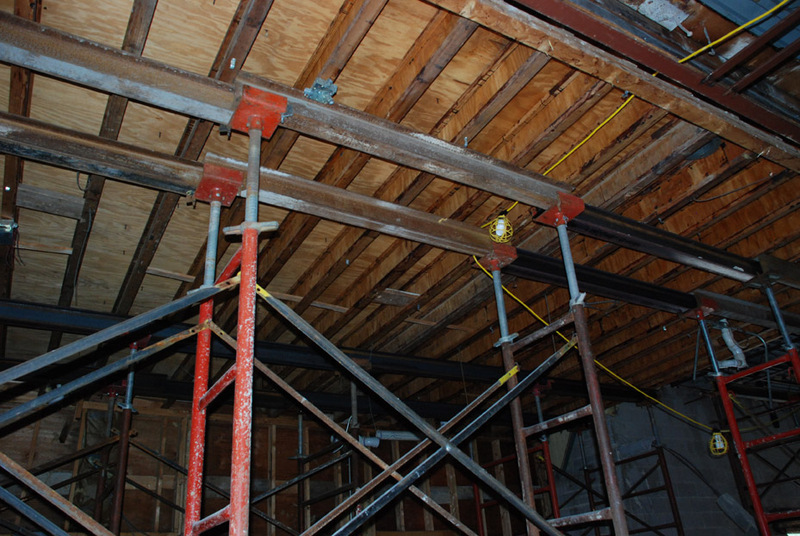 You can see how we carefully use pressure mounts to lean against the walls and roof areas of the church. We are also very cognizant of where we place the scaffold on the grounds. 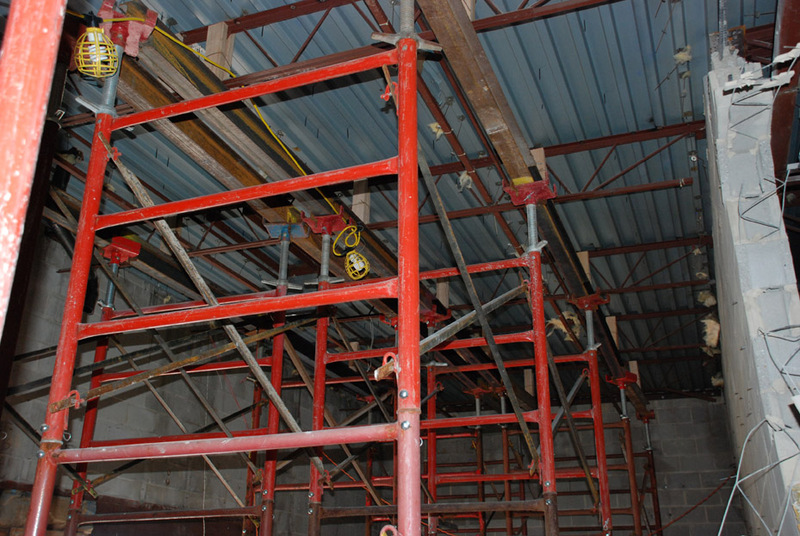 We used system scaffold with several stair towers for access around the property. Father Joseph Smith took a couple of informative videos showing some of the work being done. You can see them here. Here is a link to the Church’s web page where you can get more information. 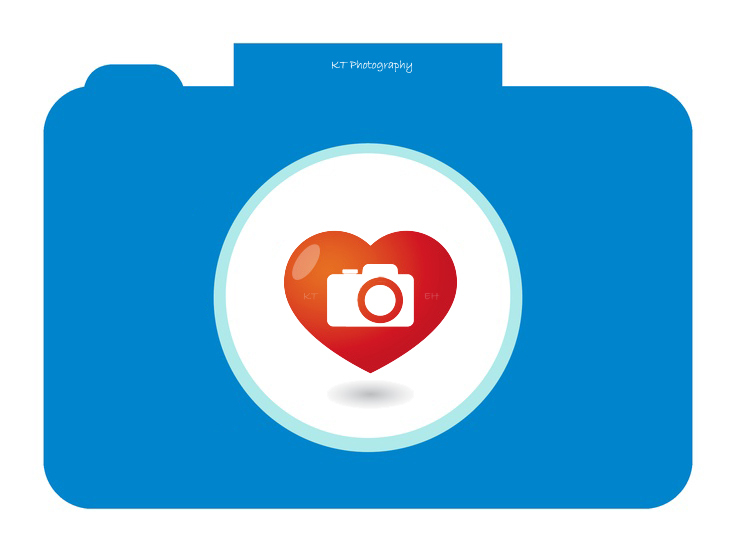 I need to give a shout out to uber talented Miss KT for the use of her camera for the photographs in this blog. If you need access of any kind, especially on a historic building, call Pinnacle Scaffold today at (302) 766-5322 and ask for Tony. He will take good care of you. This appropriate song from the band The Calling (also appropriate) fits for today’s musical interlude. 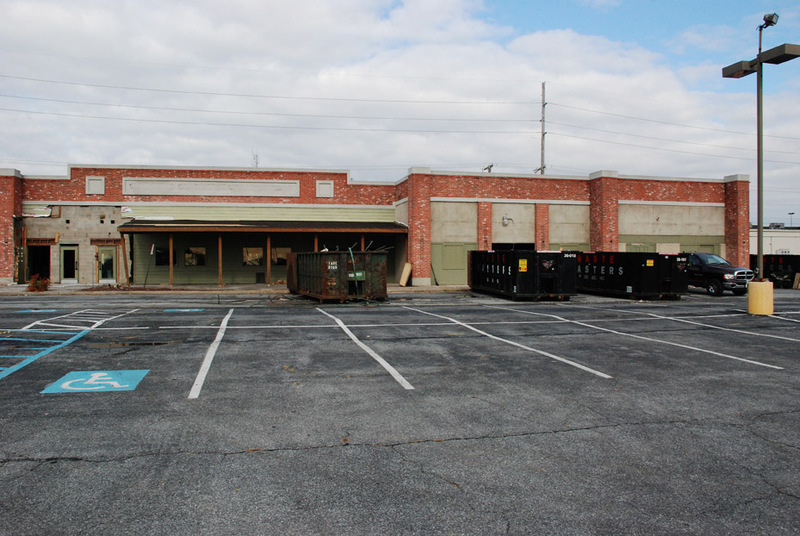 This Walgreens at 839 N. Market Street in Wilmington, DE is undergoing some renovations and re-roofing so they called Pinnacle Scaffold to design a scaffolding stair tower for access and then create a custom scaffold enclosure for the trash chute and dumpster beneath so crews could use it from several levels. We also wrapped the entire thing in debris netting to keep the detritus contained. It’s not a huge job but another smart access and debris solution for a happy client. Remember, no job is too large or small at Pinnacle Scaffold. 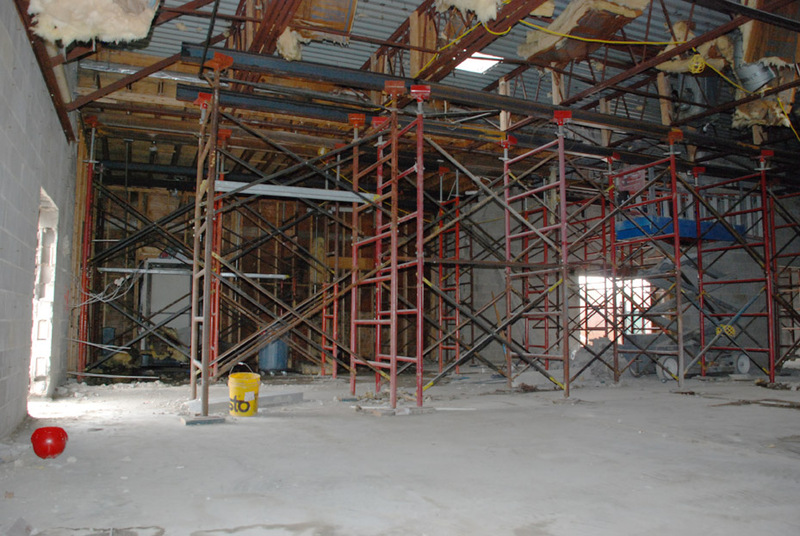 Call us today at (302) 766-5322 or visit www.pinnaclescaffold.com.